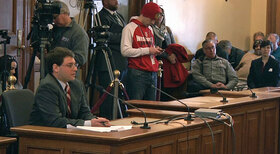 F. Vincent Vernuccio, Director of Labor Policy, testifies at a Wisconsin Senate hearing days before the right-to-work vote. On March 9, Gov. Scott Walker signed right-to-work into law making Wisconsin the 25th state in the nation to give workers the freedom to choose. Wisconsin joins Michigan (24th right-to-work state) and Indiana (23rd) in putting workers and job creators ahead of special interests. In February the Missouri House passed right-to-work in the Show-Me state as did the New Mexico House and in Kentucky several counties passed local right-to-work ordinances. In short, the fire of worker freedom is burning brightly across the country and it is spreading. This is no surprise since governors and legislators across the nation are seeing the benefits of right-to-work. 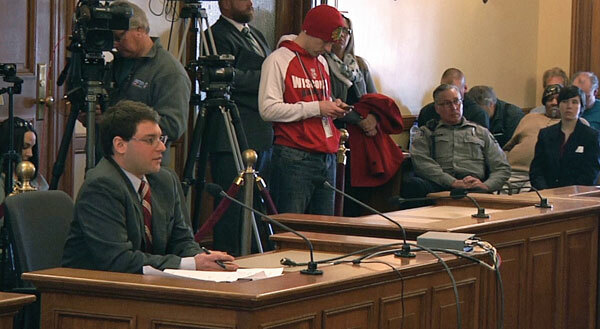 As I testified before the Wisconsin Senate on Labor and Government Reform Committee in late February, right-to-work states see higher population growth, higher wage growth, higher job growth, lower unemployment, and when cost of living is factored in, worker are making more. According to the Bureau of Labor Statistics' household survey, from March 2013, when Michigan’s right-to-work law took effect, to December 2014, Michigan’s employment levels increased by 141,990 people. This is a 3.3 percent growth rate giving Michigan the 15th highest in the country. Among those states in the Midwest, only Indiana, another right-to-work state, outpaced Michigan, growing by 5.1 percent. Only Colorado and North Dakota surpassed Indiana over this period. According to statistics derived from the U.S. Bureau of Economic Analysis, between 2003 and 2013, right-to-work states experienced 21.5 percent growth in inflation-adjusted GDP versus 14.7 percent in non-right-to-work states. In manufacturing, the spread was even more pronounced. There was 26.1 percent growth in manufacturing GDP, versus only 13.8 percent growth in non-right-to-work states. States with growing GDPs are adding jobs, and lots of them. According to research of Bureau of Labor Statistics data by my colleague James Hohman, from 2003 to 2013, right-to-work states added 4.3 million jobs while non-right-to-work states added only 2.4 million. Add to this the fact that the average right-to-work state has a smaller population than the average non-right-to-work state, and this contrast is quite remarkable and telling. “I've never understood [why] people think right to work hurts unions," Casteel said. "To me, it helps them. You don't have to belong if you don't want to. So if I go to an organizing drive, I can tell these workers, 'If you don't like this arrangement, you don't have to belong.' Versus, 'If we get 50 percent of you, then all of you have to belong, whether you like to or not.' I don't even like the way that sounds, because it's a voluntary system, and if you don't think the system's earning its keep, then you don't have to pay." The brave lawmakers of Wisconsin took these and many other facts into account and came to the clear conclusion that right-to-work was right for the Badger state. Thanks to their efforts, for the first time since unions gained the ability to fire workers for not paying them, half the states in our country are giving workers the right to choose whether or not to support a union. 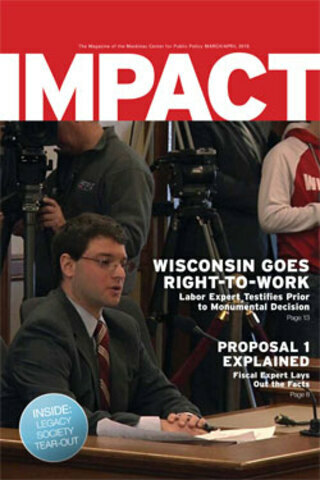 Editor's note: This article first appeared online at IllinoisPolicy.org.